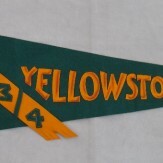 Wonderful, early Yellowstone pennant, with an applied silk image of a grizzly bear on a green felt background, and a contrasting threaded banner. 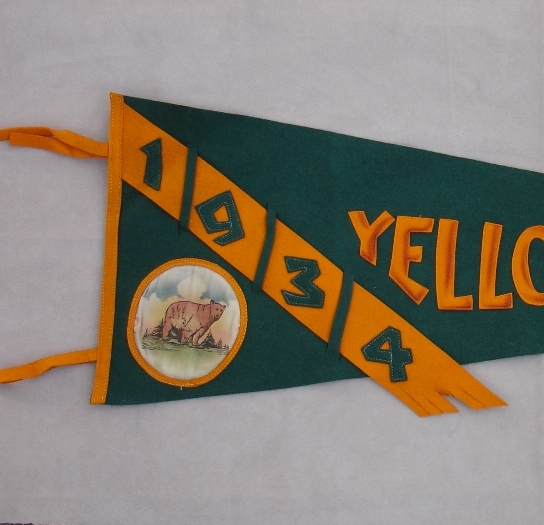 The year, 1934, is also applied in green wool felt, and "Yellowstone Park" is applied in yellow wool felt - and airbrushed for shadow effect. These pennants are very collectible due to the amount of work that went into them, and their large size: 34" long x 11" wide.